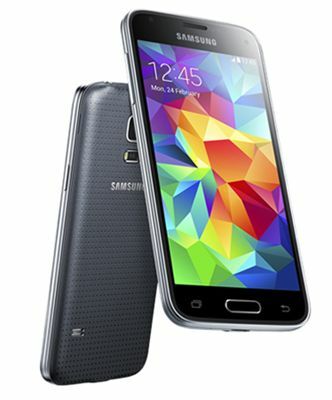 The S5 mini arrives with a 4.5 inch HD Super AMOLED display and provides an excellent viewing experience. It has a resolution of 720 x 1280 giving a pixel density of 326ppi. With its compact size, 5.16 x 2.55 x 0.36 in, and 120 grams, the device is very easy to use one handed and sits comfortably in the hand. The device has a perforated pattern on the rear giving a premium soft touch grip. Under the home key on the device is a fingerprint scanner and underneath the camera lens you can find the heart rate monitor. The S5 Mini arrives with an 8 megapixel rear camera , which produces crisp and clear images, and has autofocus and LED flash. The S5 Mini features geo-tagging, touch focus, face detection, HDR and Panorama. The device has a 2.1 megapixel front facing camera for the all important selfie and can shoot 1080p video at 30fps. Running on Android 4.4 KitKat, the Galaxy S5 Mini is equipped with a powerful Quad Core 1.4 GHz processor and has 1.5 GB RAM, allowing seamless multi-tasking and faster web page loading, together with fast power up. It also has 16GB internal memory, expandable up to 64GB. The device also has IP67 certification making it both dust and water resistant. With a 2100 mAh battery, the S5 Mini has Ultra Power Saving Mode together with connectivity to all of the latest Samsung wearable devices. 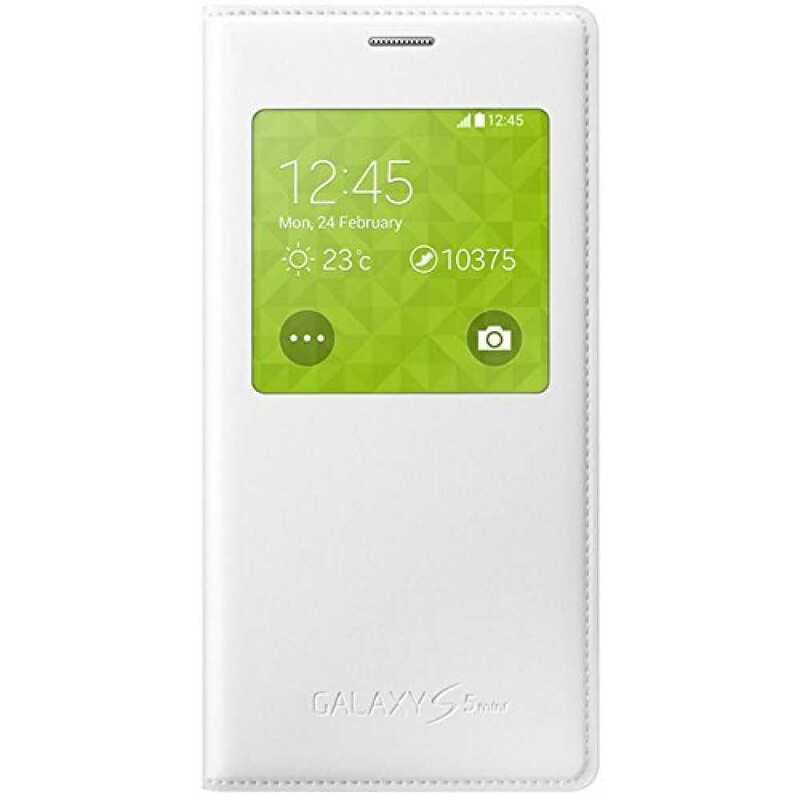 Samsung S View Case for Samsung Galaxy S5 Mini In Stock Now!